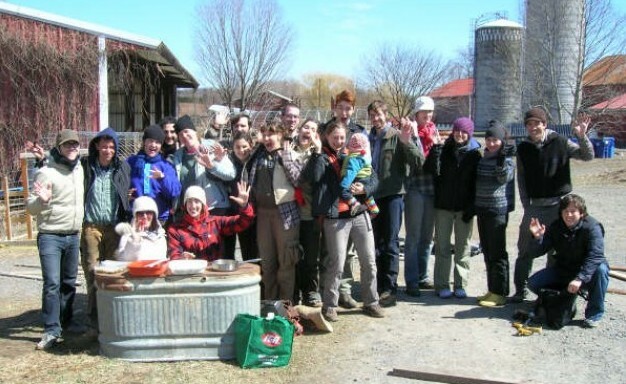 The National Young Farmers’ Coalition got its start at the Stone Barns Young Farmer Conference in Tarrytown NY in December 2009. There, a group of young farmers came to the decision that we needed organized voice for the needs of US young farmers. The obstacles that young, new and beginning farmers can be overcome with policy change at the local, state and national levels. The Coalition will help win that change with positive energy and smart organizing. In addition, the Coalition will provide practical help for beginning farm entrepreneurs and a stronger network of friends to help young farmers through difficult seasons. We’ve put together a survey to help us understand what young farmers need. Please take a few minutes and help us develop our policy agenda! Make a small donation to help NYFC get off the ground. The farm bill is coming and we’ve got to get our act together! We’re seeking several volunteers to help with design, web programming and blogging about regional young farmer news. Please email info@youngfarmers.org if you’re interested. « previous article: What do you want to see in the 2012 Farm Bill?